There is nothing like a hot, humid shop and scrub planing oak to remind you of how out of shape you really are. I started surfacing the oak panels that I had glued up for the tops and shelves of the end tables. I only managed to get two of the panels surfaced and flat before dehydration, heat stroke and severe chaffing set in. So a new plan of action is in order. I will spend about a half an hour a night after work each day this week working on these panels. Maybe that will get them done and ready for fitting, finishing and installing. 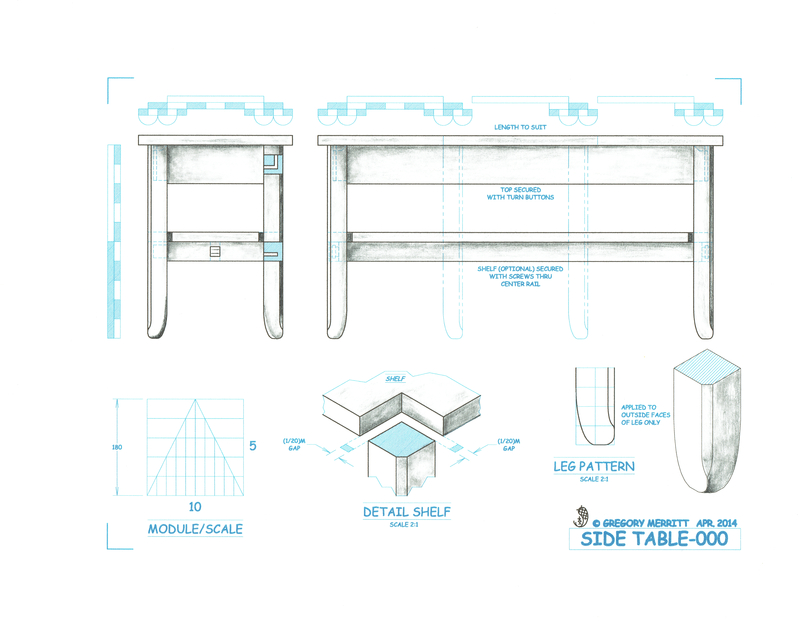 So the saga of the never-ending end tables continues….. 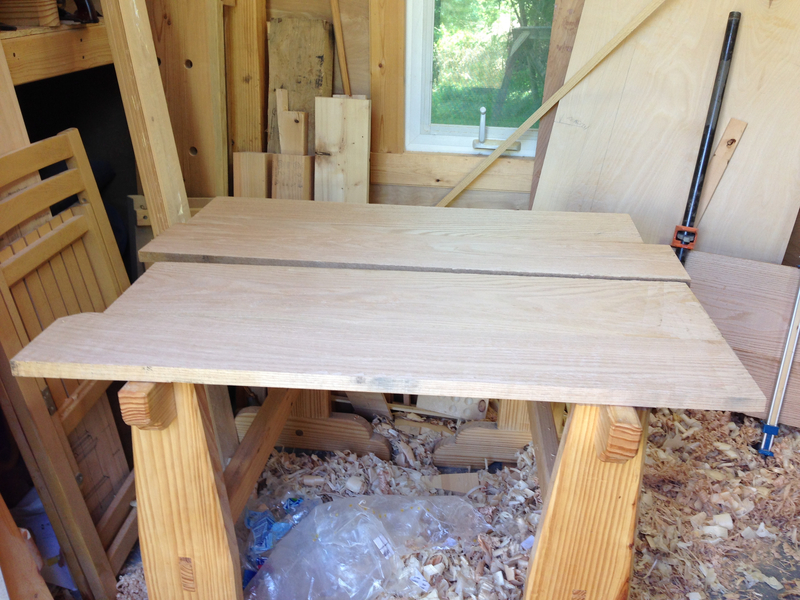 This entry was posted in End Tables and tagged table, Woodworking, woodworking skills. Bookmark the permalink. Oh man I’m coming back to humidity prone Great Lakes area…. Thanks for the reminder of how draining that can be…. Hahaha. I do my woodworking in the summer in gym shorts and T-shirts. And lots of headbands – cheap ones from Wally world.